The Ring of Her Dreams. 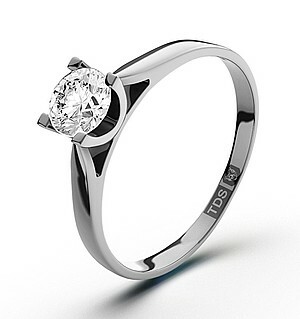 This elegant solitaire engagement ring features a center stone of your choice set in 4 prongs. The ring is adorned with 12 round brilliant cut channel set diamonds on a sleek polished 18k gold band. An engagement she will remember forever. Boulder Opal Triplet (1.05 Ct),Iolite Platinum Overlay Sterling Silver Ring 2.000 Ct.
Canary Kunzite (3.00 Ct) Platinum Overlay Sterling Silver Ring 3.000 Ct.